What is an analytical balance? An analytical balance is a very accurate electronic weighing balance with readability of 0.1mg, 0.01mg or 0.001mg, it is used for applications where high accuracy is key, such as pharmaceuticals, laboratory testing and chemical analysis. Analytical balances come with draft shields to prevent air currents affecting the results, the higher up the market you go the more features and accessories the balance is likely to have. There are many things to think about when deciding which analytical balance is right for you, and if you're not careful you could end up compromising on something important to get something that may not be a necessity. Below, we have compiled some information on choosing analytical balances to help you make sure the analytical balance you buy does exactly what you need it to, without spending more than you need to. This information should also help to make sure that you don't miss out on a feature or performance that's important to you because one that is "similar" cuts the cost dramatically but may not work how you need it to. Please read on or alternatively browse though our range of analytical balances and then give us a call for advice. All the areas covered below will have an impact on the suitability of the analytical balance for your application and on a key deciding factor...the price. It's all very well saying you need a 120g x 0.01mg balance with all the applications, intuitive software, weighing in any conceivable unit and even complementing your tie (ok maybe that last one is an exaggeration!) but an all-singing, all-dancing analytical balance is going to have a price tag to match and if your budget is say, £700.00, then you need to consider what the most important features are. Look for an analytical balance that includes the key features that you need but doesn't exceed your budget, this is an easier task than it sounds, as there is a good range of balances available and we have chosen the analytical balances that provide the best value for money for sale on our scalesandbalances web shop. 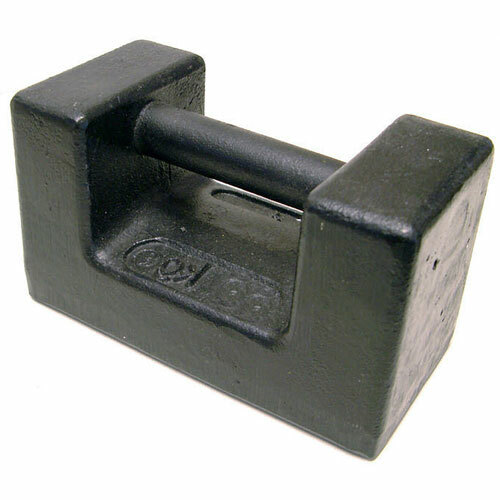 One of the first things to think about is the capacity of the balance, how much do you actually need it to weigh up to? For instance, if you only weigh items up to 100g each, there may be no point buying an analytical balance that weighs up to 300g. You need to make sure you have a high enough capacity to weigh what you need it to, and maybe a little extra just in case, however you don't want too much extra as this could increase the price. 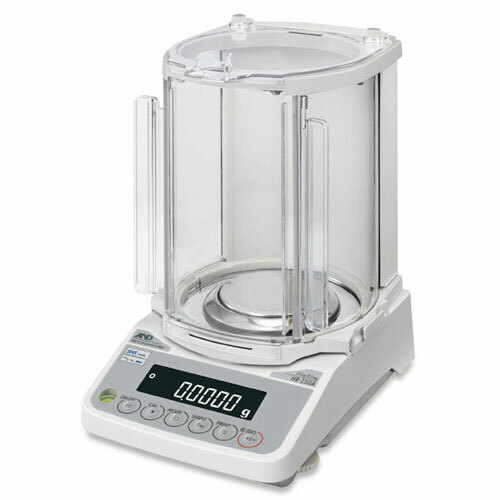 For example, an analytical balance with a capacity of 210g and an increment size of 0.1mg and costs £780.00+VAT, however if you were looking for something of this increment size with just a few hundred grams more capacity, you may end up looking at a high end micro-balance which would cost at least £3000.00+VAT! 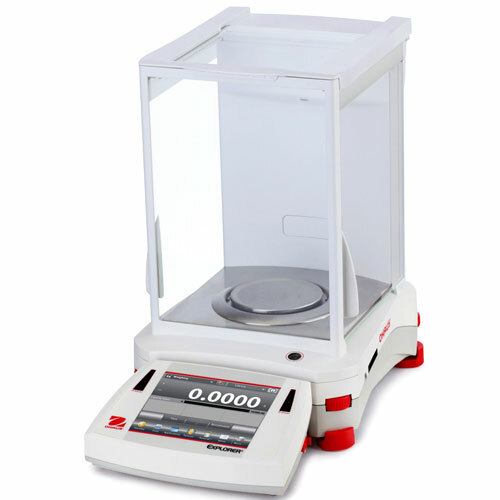 We have a range of analytical balances with a wide range of capacities. Secondly, think about the increment size of the analytical balance. Increment size is also known as readability, resolution or division size. This is the smallest unit the balance will display i.e. 0.1mg increment size means the display on the analytical balance will increment by 0.1mg. Please note that increment size is not the same as accuracy and you will need to check the datasheet of the balance to see what the accuracy is e.g. +/- 2 divisions or alternatively give us a call for advice. With regard to the accuracy of an analytical balance most will quote a combined maximum error of 2 divisions so if you are weighing out 100g of a fine powder and you need an accuracy of +/- 1mg, a balance with an increment size of 0.01g/10mg would not be able to tell if your powder was 1mg out and although a balance with a division size of 1mg will give you a reading that is suitable, if you take into account the maximum error or accuracy of a balance then an analytical balance with a 0.1mg resolution (readability) is required. The smaller the increment size, the closer to you will be able to get to your desired weight, although a smaller increment size will also increase the price. To clarify; the accuracy of an analytical balance is the maximum difference between the applied test weight and the displayed weight. Some manufacturers quote the accuracy on the product datasheets. No measuring device is 100% accurate but typically the accuracy of standard weighing scales in a stable environment is approximately +/- (1 x division size) throughout the weighing range but for analytical balances the accuracy can be +/- 2.divisions. What features (applications) do you need? If you intend to weigh small animals, you would probably want an analytical balance with dynamic weighing. Do you want to manually calibrate it with test weights or would you rather just press a button to do it? In which case you may want to consider internal calibration. Think about what units you want it to weigh in; grams, ounces, milligrams, grains or troy ounces for example. You may need a parts counting function, so you can count very small items into a container and the balance will tell you when you have reached the correct amount. A check weighing function will confirm the item or set of items is within specification. Some balances include statistical functions. 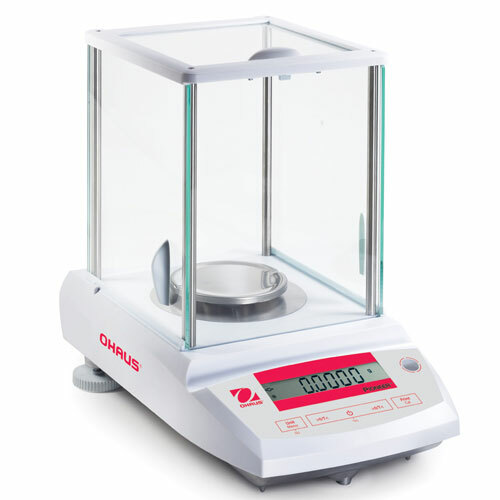 The higher-end analytical balances such as the Ohaus Explorer have a comprehensive list of features. Where will you use the analytical balance? You will need to consider where you will be using the balance. Given the higher resolutions of analytical balances, small things can affect your readings. Vibrations from the street outside, any drafts in the area and the temperature of the room can all have an effect on your measurements. There is a draft shield that comes with the analytical balance, will that affect where you can put it and how you weigh items? If there is a road or other vibration sources close by, you may want to consider getting an anti-vibration work surface for the balance to be used on. If there are temperature changes, some higher end analytical balances can automatically recalibrate to remove any errors that this may cause. Electrostatic issues can have a large effect on the weighing results when weighing plastic components and other conductive parts, if this is an issue, consider using an de-ioniser to remove the static charge as an optional accessory or choose the A&D BM Analytical Balance that has a built in de-ioniser. You may want to print your results, in which case you need a compatible printer, an analytical balance that can be connected to a printer and any necessary cables. You may wish to store the data on a computer meaning you need data logging software and a balance thats compatible. Some balances have density determination kits as optional extras if you are require density determination. You probably need to think about more simple things, like a traceable calibration certificates for quality procedures and in-use covers to protect the display. These are moulded to the balance, and not all models have them. I run a small business selling bags of animal vitamin powders by the weight. The bags are sold in 10g, 20g, 50g or 100g. What is the most cost effective analytical balance for me? We are a specialist small animal veterinary surgery. We have to weigh the small animals (mice, rats, hamsters etc) daily to calculate medicine and anaesthetic levels, then send the results to a computer. The is great for this application. It has dynamic weighing to get a fast reading when the animals are moving around, and can be connected to a computer with the Adam DU Data Collection Software. The capacity has not been specified, so this will affect the price however the software is £49.00+VAT. This balance can also be connected to a printer if necessary, and for extra protection we can offer an extended three year return to base warranty for only £95.00+VAT. For a university project we are trying to determine the density of various rock samples. The samples weigh around 100g each. The Ohaus Pioneer is a good choice for this. At £648.00+VAT the PA114 is great value for money. Its reliable and sturdy and will do exactly what you need it to. With a built in weigh-below hook and the option to purchase a density determination kit (£270.00+VAT) this balance is great for this application, but also a good all-rounder for anything else you may want to use it for. There are many options to go with it including software for data logging on a computer and an ioniser to remove electrostatic charge right down to internal calibration and an anti theft device. It is versatile and incredibly popular for universities. We are a pharmaceutical company. We need a balance with fast results and internal calibration that can be connected to a PC or printer for weighing solids and liquids, and for formulation and statistics. We need 200g x 0.1mg or finer. This is quite a specific request, but is can be done. The Ohaus Explorer is Ohaus' most sophisticated balance. With a capacity of 220g with a readability of 0.1mg, the EX224 is exactly what the customer needs. With AutoCal automatic internal self-calibration, it has a range of application modes including checkweighing, filling, and formulation to name just a few. Touchless SensorsÔ can be programmed to activate certain aspects of the balance's performance. It can easily be connected to a printer or computer and there is data capture software available, although this is not essential. The Explorer is one of the first in a new generation of "Plug-N-Play" balances. It works like a USB device and can simply be connected to a computer for instant use. In fact, there are too many features and functions to list here. We can also offer a three year extended return to base warranty for the price of £260.00+VAT. The one downside is the price; if you are on a budget then the Explorer is likely to be over it! The EX224 costs a cool £2,285.00+VAT, and that is without Trade Approval or any other accessories. If money is no object this model will do pretty much anything you want it to. ...If money is an object but you still need this kind of thing, then the series epitomises value while still maintaining superior performance. It may not look as high tech as The Explorer, only having a reverse backlit LCD screen as opposed to a colour touch screen, but it does the job brilliantly. At £915.00+VAT, the HR-250AZ has a capacity of 252g x 0.1mg, and comes with internal calibration. There is also software that you can use, but again is not necessary, as this model will also plug straight into a computer and work on its own. This model can do pretty much everything that the Explorer can do, but it just goes about it in a more basic manner. It has a smaller footprint due to the rotary sliding doors, so if space were tight this would be a better option.